Participating in festivals around the world will be some of your most memorable travel experiences. Festivals bring color to your travels, giving you a deeper insight into the host culture through costumes, dancing, food, music, lights, and celebrations. Wherever we are traveling, we always make an effort to discover what festivals, big or small, are happening in the area so we can join in on the fun, sometimes planning our trip around certain festivals. 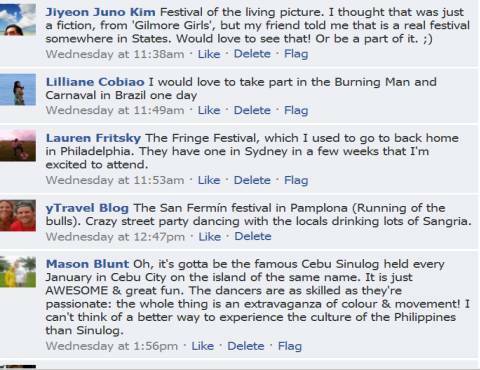 Here is a list of our favorite festivals from around the world, followed by some of our Facebook fans recommendations. 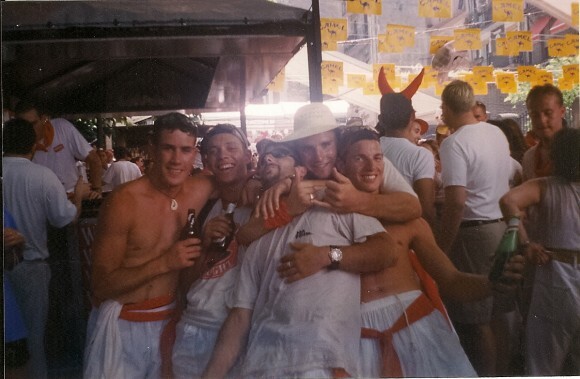 The San Fermin festival begins at midday on 7th July in Pampalona Spain. Thousands gather in the town square, dressed all in white with red sashes tied around waists or necks. They eagerly await the mayor’s announcement that the party has begun. A rocket is launched, cheers ring out, corks are popped and champagne is sprayed around as eggs and flour are thrown in a warm gesture of ‘welcome to the party- Spanish style. The day is spent dancing and drinking copious amounts of sangria on the streets. A popular place for many travelers to hang out is the Muscle Bar,where drunken idiots proceed to jump off a 3 metrer high statue, expecting their equally drunk friends to catch them and prevent their fall onto the broken glass carpeted concrete. My friends and I stayed here for about half an hour until the first ambulance was called, and decided we did not come all this way to see people die. We high-tailed it out of there and instead found some little side streets, lined with small bars, and danced the day and night away with Spaniards and more mature travelers. The next day we rose early to see the Running of the Bulls. 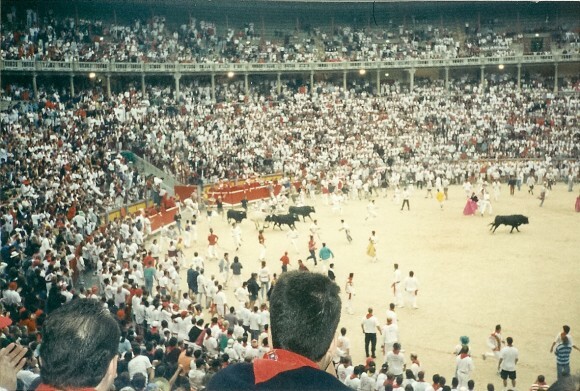 It was fabulous to witness the joy and enthusiasm of the Spaniard men in the arena, whacking the ground with their papers, enticing the bulls to come out and run over the top of them. P.S. Please ladies, don’t run. It goes against the local tradition. The running of the bulls it’s a he-man event. Let it be so. Respect the traditions of the festival that you are invited to celebrate in. 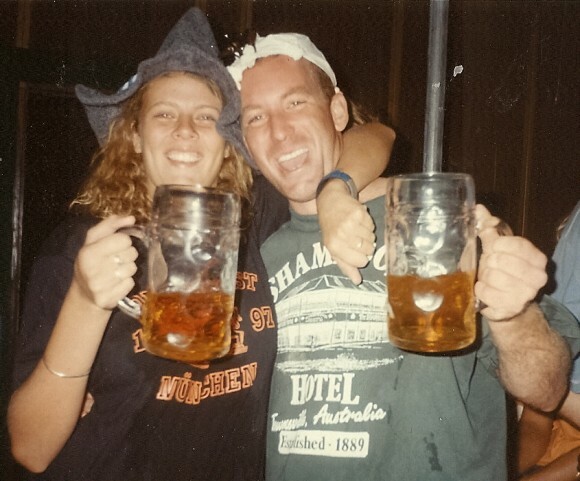 “I’m prosting, I’m prosting, Gadamusch, de clang!“… I sang these words from the pig pit, in the Hofbraeuhaus Tent and clanked my liter stein with people from all over the world for 2 days straight of beer drinking. For two weeks this festival is all about beer. Don’t come here expecting anything else, well apparently there are some parades and rides outside the tents. 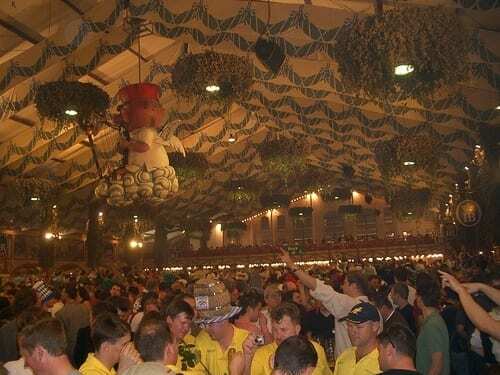 Oktoberfest kicks off mid September and it is said that the wildest days of the festival are those in the first week. Do your best to make it there for the tapping of the first keg at the opening ceremony. The oompha band starts playing, the crowds go wild and the beer flows steadily. There are over 30 beer halls you to choose from to sit and drink, and I would make it a point to check out a couple of them. The majority of halls you will find are filled with Germans and other nationalities sitting calmly around tables, drinking their steins,eating schnitzel, and engaging in quiet conversation. When you enter the notoriously feral backpacker tent of the Hofbraeuhaus (Opera House), Beer-fest presents you with a whole different experience. Drunken people fall all over each other, and stand on tables for prosting and dancing. This tent is full of Aussies, Kiwis, South Africans and Americans running amuck. Be warned. I can’t even begin to imagine how insane this party must be now 11 years after I went in ’99. It was crazy back then. Nowadays in Thailand they have a party for all phases of the moon, which dilutes the intention of the original one somewhat. I’d skip all the others and just head for the main event. Make sure you book your accommodation way in advance, not that you will be doing any sleeping. We watched from our bedroom window about midday the next day as hordes of people continued to rock the podiums lined along the beach, drinking whiskey buckets, and worshipping the exhausted moon’s replacement. 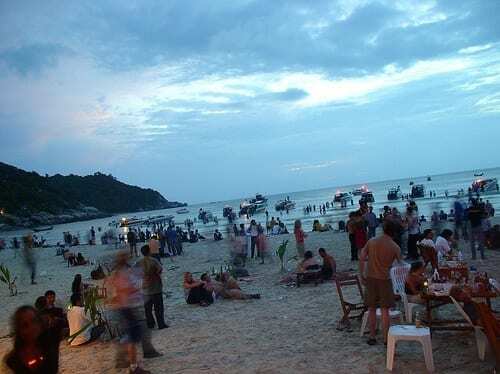 The full moon party is celebrated on the crescent shaped beach of Had Rin, with anything from 10,000- 30,000 people. The party starts at twilight with small candle lit tables set up on the beach and slowly progresses into a frenzied dance party. It’s not just a frenzied house dance party, there is music to suit all tastes, with each bar pumping out a different style. 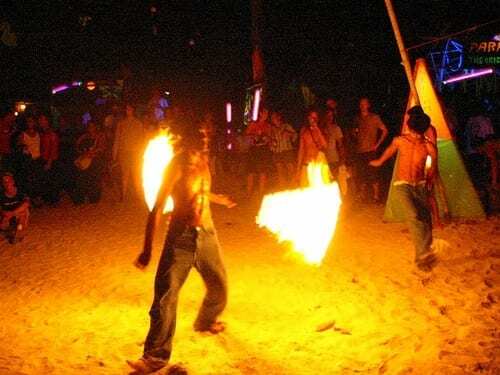 This festival is all about drinking as many whiskey buckets as you can, dancing on as many podiums or tree houses as you can, hopping to as many bars as you can, while being entertained by night trippers, fire twirlers, jugglers and dancing lady boys. St Patrick’s Day would have to be one of the most widely celebrated festivals around the world. No matter where you are in the world, celebrating St Patrick’s Day on March 17th is a lot of fun. Experiencing it in Dublin, however, is a celebration to put on your festival bucket list. You will definitely not be short of a pub to have a few pints of Guinness in. Despite the thousands of pubs that can be found, you will need to get in early to secure a seat because they will be jam packed with merry makers. 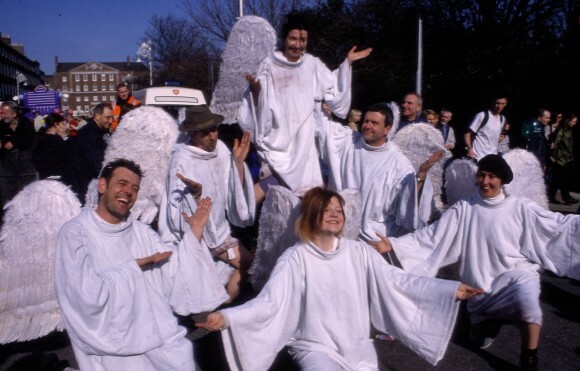 It is worth starting your day by joining the crowds of over half a million people lined up on the city streets to for the midday parade and watch street theatre troupes, artists, giant puppetry, leprechauns, dancers, and marching bands from Ireland and all over the globe. 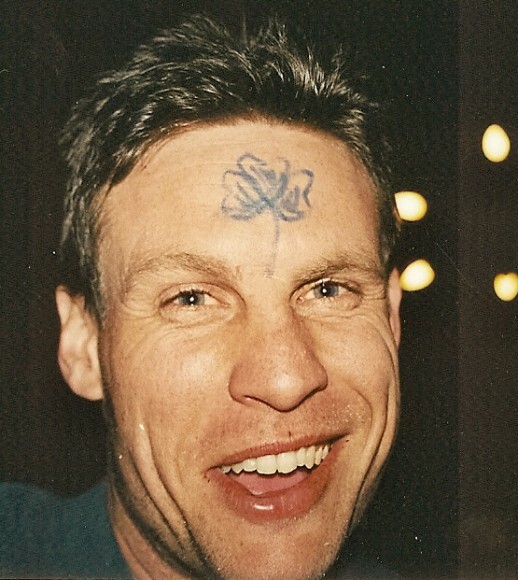 Then, put a shamrock on your face, find a pub that has some traditional Irish music playing, grab a pint of Guinness and enjoy the Irish craic. Said the be the second biggest News Years party in the world after Times Square, New York. 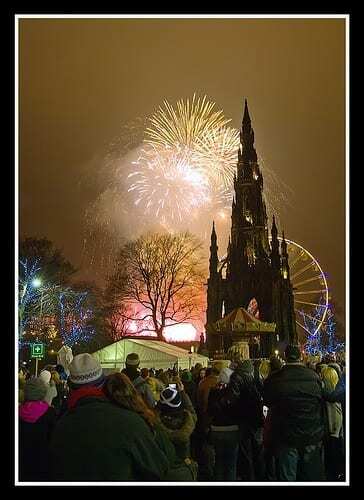 Having been to both, I would say Hogmanay in Edinburgh, Scotland, is the more enjoyable party of the two. At Hogmanay you can walk freely around the streets of Edinburgh, drinking as much alcohol as you like, with plenty of port-a-loos available for you to relieve your burdens. There is no giant ball dropping at midnight, but you will get a spectacular fireworks display over the Edinburgh castle as she sits lit up towering over the city. The street party can get crowds up to 80,000 revellers, who have all come to enjoy the live music, light and laser shows, and fireworks. Other events are always happening in an around the area in the days leading up to the event. You will need to purchase tickets before hand to have access to the city streets (10 pounds) , and come prepared with your winter woolies and alcohol (no glass bottles). 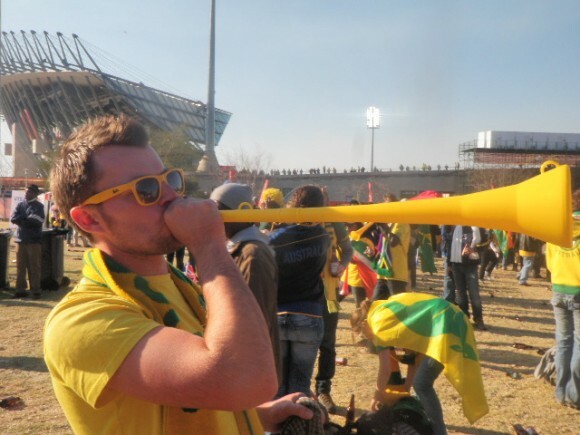 Even if you are not a great lover of sports, it is well worth attending a world cup sporting event just for the carnival like atmosphere. I’ve celebrated in the streets of Sydney during the 2000 Olympics, cheered on the Wallabies at the World Cup in Dublin and then partied with the defeated Irish team after the game (my best waitressing tip ever), drank with Croats and Argentinians during their match at Bordeaux, France for World Cup 99, and partied with my cricketing Kiwi and Saffa enemies in the bars of London. World Cup Sporting Events are a great opportunity to celebrate good health, friendly rivalry, sporting talent, the achievements of your country, and party with people from all over the world; people who are intent on having a great time. At any world cup or global sporting event you will find week or month long activities, festivals, live music, parades, costumes, and dancing which makes the whole celebration so much more than just a sporting match. 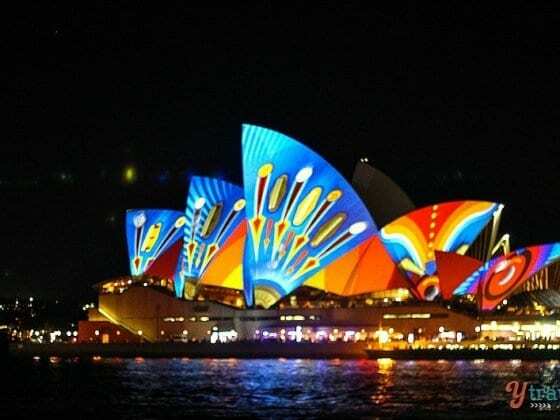 What is your favorite festival from around the world and why? I LOVE festivals!!!!!!!!!!! I want to go to Carnival in Rio SO bad. I went last year to Carnival in Rio and it was AMAZING! I have a ton of info on my site if you’re interested! Travelbugjuice.com. . This list rocks!! But I sure am thirsty now!! Oktoberfest here I come! 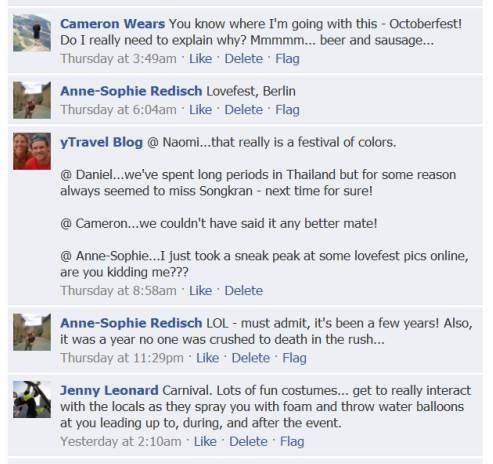 Yeah my older brother went to Carnival and he too said it was amazing. Sounds like a mad party. Yes, get to Oktoberfest, another awesome festival, and the beers pretty good and plentiful too! 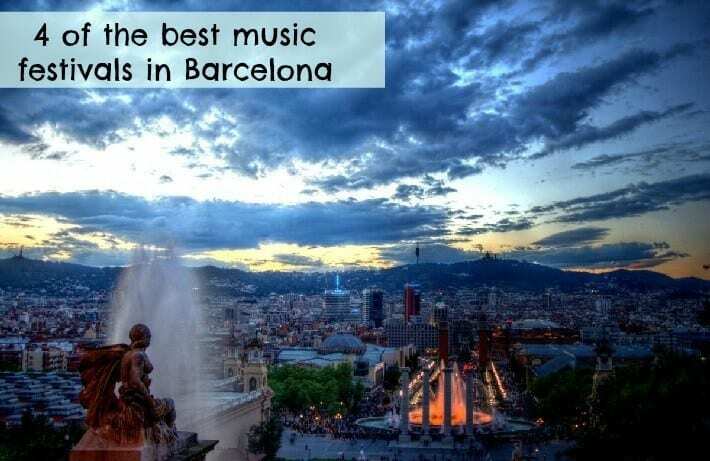 Great round up of festivals. Sadly I’ve only been to Hogmany, though that’s a pretty bloody god one to check off the list. I am heading to Oktoberfest for the first time this year and I get to check off the first two weekends and get PAID!! Lucky me! Was thinking of spending New Years in Glasgow with some friends but I don’t know why we couldn’t make the hop on over to Edinburgh for just 10 pounds! Great list! Yeah, check out the Hogmanay website I linked to in the post, it will give you all the info you need to buy tickets. It is a great party. Enjoy Oktoberfest, you will have a wild time. No accidents though please!! Great, great list. Have hit a few of those. The rest are must-do’s. Very nice list! Sadly, I have never attended any one of them but looks like I need to one of these days 🙂 Thanks! Some how I have missed these carnivals and even now with my next trip booked I thought I was around for two of the biggest carnivals in the area only to find out that the parades take place the day before and the day after I leave! I would love to do the Rio Carnival – this time I will be a few months early though my host has informed me that she will take me along to the samba rehearsals and classes. Still would love to see the real deal..
On the theme of just missing things, I just missed the beer can boat regatta in Darwin last year. For those not in the know, this is a race involving boats created out of beer cans (seriously, only in Australia). I’ve seen photos though, and it looks to be awesome! Oh I’ve heard of that and seen the pictures too. 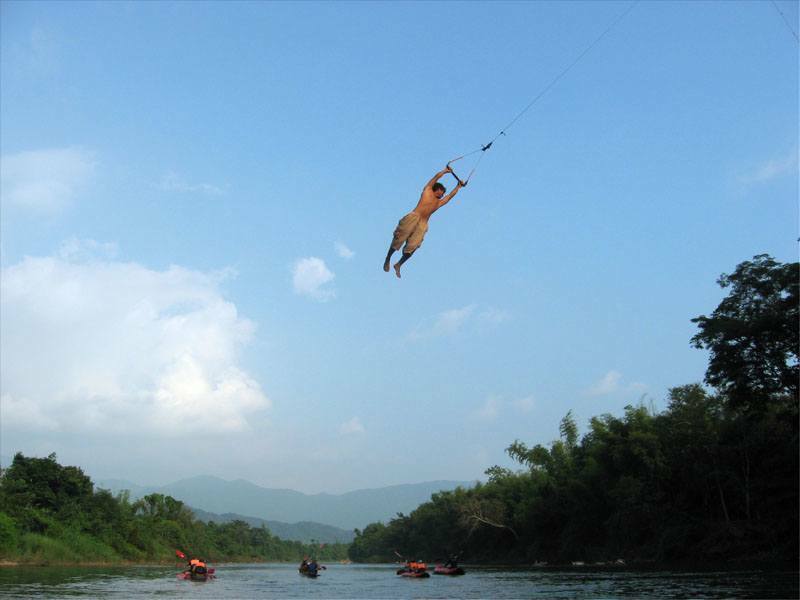 It looks like a lot of fun and yes only in Australia. We love our beer! 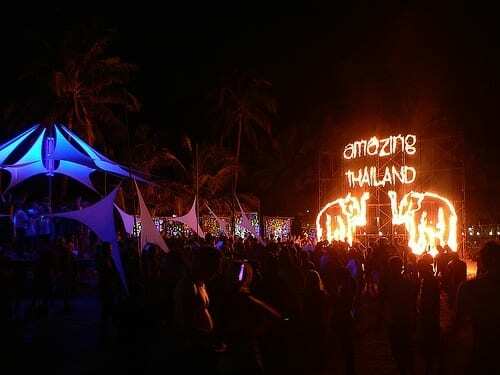 Festivals are one reason I hope to travel round the world someday. 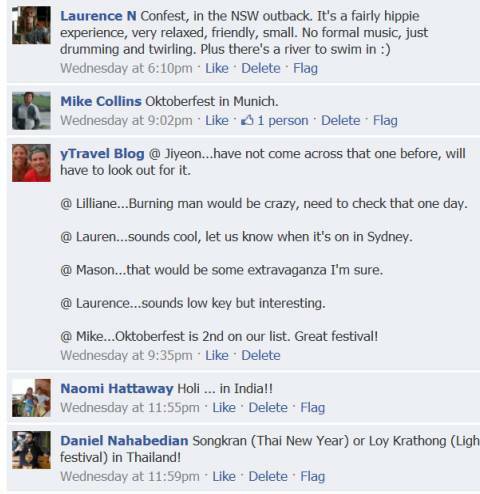 Oktoberfest is at the top of my list, but Hogmanay looks like a great time as well. 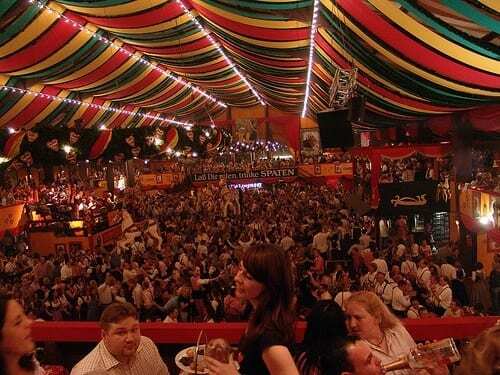 I need to go to Oktoberfest so bad! Poi…Oh yes you do! I feel kinda thirsty myself lol. 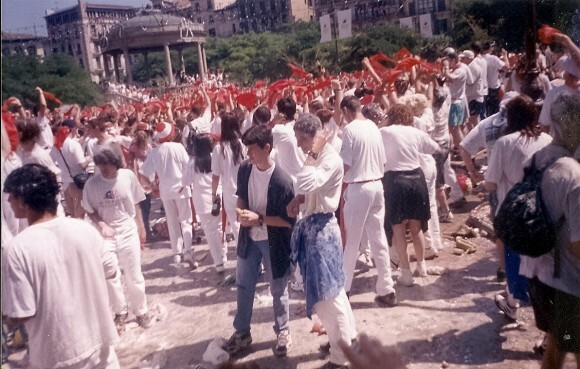 Before, only man could take part during bull-runs in Pamplona but now everybody who is over 18 can participate and I don’t think it’s right for you to say that women shouldn’t run because as you said, it’s traiditon that only men should run. But traditions are there to break them. And it’s not only a manly thing to do. There are many women who are much better than most people who runs there, because there are many drunks. And trust me when I say that I know what I’m talking about, the bull-running is part of my tradition.